So you haven’t been on any Croatia sailing tours yet?! What are you waiting for?! As a booming newer destination in the past decade, sailing Croatia is now on the radar of travelers everywhere. As someone who has been working there for quite a few years, I’ll tell you that there’s no better way to experience this beautiful country than to take part in a sail Croatia – a sail week tour of the Croatian islands. Croatia sailing trips are becoming so popular that new companies and Croatia sailing weeks are popping up left and right; everyone wants to try to get their slice of the booming business of the perfect idyllic holiday. There are some companies that have been around for years and some new ones, some bigger sailing companies and some smaller ones, both budget and luxury sailing Croatia, and some massive boats with more passengers or smaller ones with less. 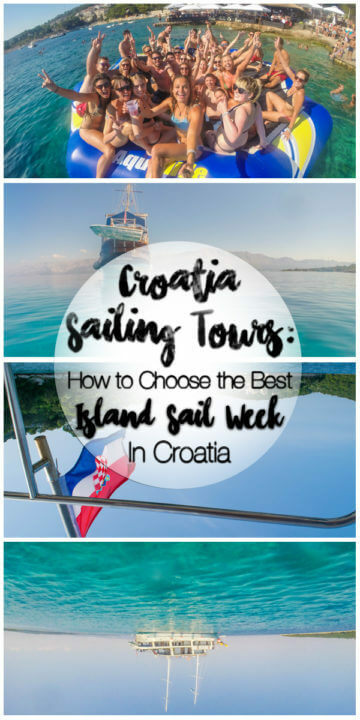 There’s definitely a lot of choice when it comes to picking the best Croatia sailing tours, and I’m here to help you figure out which sail week in Croatia may be right for you. Hey guys. This post is super long. Why not save it to Pinterest so you’ll have it to refer to? I worked three summers as a tour guide on these very Croatia sailing tours I’ll be describing to you, and during that time I got to know the in’s and out’s of all the different companies and different tours. I came to know what the selling points of each company are, what makes each one different, which tours are better for what ages, and what kinds of people tend to book a certain tour. Bigger boats are better for some people, while some enjoy a more intimate experience on a smaller boat. Some people love to party during their Croatia island cruise, and some love to relax. Below I have outlined all that I know about each Croatia sailing company and what kind of person it may be more geared towards. I’m hoping you can take all this info to make the perfect decision on the right one for you! If you need any help planning, feel free to reach out. And before you go, don’t forget to check out my Tour Guide’s Super Guide to All of Croatia – outlining ALL of Croatia and guides to each city complete with adventures, activities, food/restaurants, nightlife, history, and more. Disclaimer: All this info is my personal opinion from working three seasons of sail Croatia on the Adriatic. They may not be correct or agreeable but I hope my experience can be used to help you choose the best Croatia sailing tour week for your needs. Did you think I was kidding when I said there was a Vegan Cruise? Before I start, I want to give a quick description of what kinds of boats you’ll be looking at for your sail week Croatia. The boats come in a few different classes and styles that you will want to know before you go! Floatilla boats – these boats will be smaller, slower yachts that hold about 8-10 people. Depending on the company you book with you may find a bit bigger or even smaller boats to sail croatia, but in general these are a 2-crew boat for a smaller group. If you upgrade to have a hostess she will make some food and clean for you, but you can bring your own food and drinks on these boats. B Class boats – These are wooden boats with shared facilities and usually no air conditioning. They are of course quite a lot cheaper. Cabins will have two bunk beds each and toilet/shower facilities will be shared with everyone. These boats are usually smaller (18-25 people) and are quite the authentic sailing experience! These are usually just for the younger sail Croatia passengers. A Class boats- A-class boats have ensuite toilets in each cabin and sometimes a communal air conditioning in the downstairs hallway or saloon/eating room. Beds are usually bunk with two in each room. There’s a large range of A class boats – some much nicer than others – but will all have this basic ensuite structure. A+ Class boats – A+ boats are the luxury of the seas and are the fancy white boats you will see on the Adriatic. Usually the crews of these are all wearing matching embroidered polos, and your linens might even be embroidered as well! A+ boats have air conditioning in each room, two (not bunk) beds in a spacious cabin, a safe in each room, and LOTS of space to chill. They usually have a spacious upper deck with nice chairs, great speaker systems, and spacious eating areas. A+ boats also have a hot cooked breakfast each morning (A and B have basic cereal breakfasts) and hold 35+ people. These are obviously more expensive Croatia sailing tours, and the prices onboard will be higher as well. Some sail Croatia companies that are more family/all-ages oriented will have one smaller 8-10 person boat available for Croatia yacht charter hire for the week. These will come with a skipper and possibly a hostess. Because all boats are privately owned and operated, most companies use an agency to obtain the boats they work with. The agency that operated most of Croatia is called Katarina Line. You will see these logo’s all over the place, and you can actually book tours with KL themselves, as they have some sail Croatia tours which are not affiliated with a specific company and also can help find you what company works best for your needs. You will find that most of the Croatia sailing tours will be one week, from Saturday morning to Saturday morning. On the brochures it may say 8 days, but that includes the little snippet of the last Saturday in it for whatever reason. Some run Wed-Wed or Thurs-Thurs, and are usually quieter. 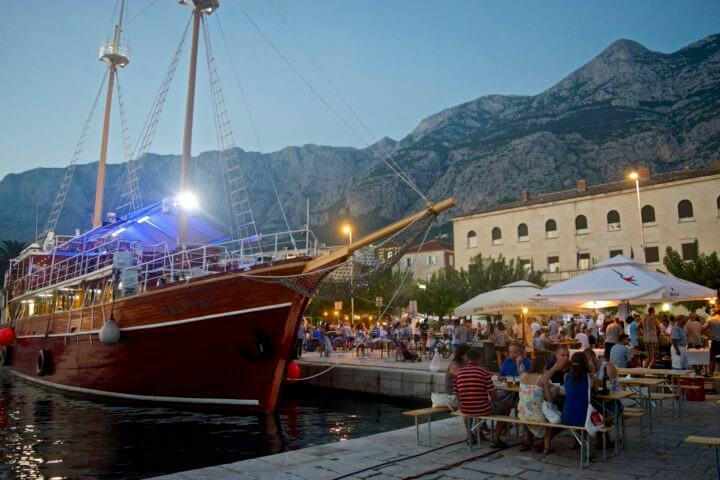 Sail Croatia weeks will mostly be one-way or round-trip between Split and Dubrovnik. On bigger, more highly powered boats (not floatillas) you will either sail Split-Split, Dubrovnik-Dubrovnik, Split-Dubrovnik, or Dubrovnik-Split. Some companies have better one-way routes than others, which I will detail below. Some companies also sail more north then Split – occasionally as far as Zadar, Pula, or Zrce – which I will also detail below. Floatillas will generally not make it all the way between Split and Dubrovnik because they’re smaller boats and can’t move as fast. Usually they will start and end in Split or Dubrovnik and visit islands around there. Don’t forget to check my Tour Guide’s Guide to Croatia to see which islands and cities you would like to see the most! When you go on a Croatia sailing trip, you must be prepared for extra costs. Most (non-floatilla) routes will include breakfast and lunch, but not dinner. There are usually two optional dinners onboard the boats during the week which you can have if you wish. Drinks and dinners on the boats will go on a tab system you can pay at the end of the week. Drinks and food outside the boat will usually be paid for in cash in the local currency, kuna. Kuna is about 5 to the AUD, 6-7 to the USD, and 8 to the GBP. Any adventure tours (like zip lining) or activities will cost extra as well. On floatilla style tours or private hire boats, you can bring your own food or hire a hostess to make you breakfast and lunch. So if you didn’t already know, sail Croatia tends to be a bit of a party. Okay, not just a bit…. it tends to be a huge party. Many people come to Croatia to enjoy the scenery a little bit and sip on cocktails, take fancy shots, dance on bars, and party quite a lot. This isn’t to say that you can’t come on a Croatia sailing holiday and have a mellow, chilled week relaxing in the sun and swimming in the cool waters, but just be warned that there will be quite a lot of debauchery going on around you. I also will say that it is actually part of tour guides’ jobs on these ‘young people’ boats to take you to at least one (or 4) bars every night. It’s up to you whether or not you wish to take part! What Do I Need to Know Before Booking Party Croatia Sailing Tours for Young People? Bell Rings: It will be a thing on each boat that if you ring ‘the bell’ (every boat has one) you buy a round of shots for the entire boat. Yes, everyone on it. Bell rings are like a Croatian right of passage; they’re a ceremonial symbol of Adriatic party and one of the top reasons you know you’ve sailed Croatia. As soon you ring the bell, the bartender will compile a tray of shots with the amount of people on the boat, and put it on your tab which you pay at the end of the week. Dangerous. Nights Out: There’s always a good mix of bigger and smaller nights out. Not every town you stop in will have the opportunity for a big night, and most tours balance them fairly well. 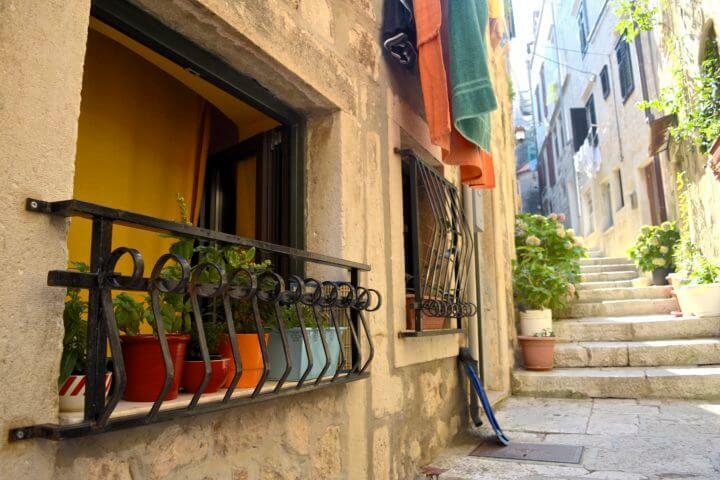 Save up for nights out in Hvar, Dubrovnik, Makarska, and Korcula. At the rest of the ports, you can go crazy at one or two small bars or chill out and stargaze on the boat. Tour guides should always give you a nice alternative to a party night. Nationalities: On the bigger boat Croatia sailing tours (Topdeck, Busabout, Contiki, Sail Croatia) you will find that there are a lot of Australians (and Kiwis) around. You will find Americans, Scandinavians, and more Europeans on floatilla tours like The Yacht Week and Medsailors. I have no idea why this is, but that’s how it turned out. I think the marketing campaigns and word-of-mouth bookings of the bigger boat tours really reaches all of Australia. Not a single Aussie doesn’t know what Topdeck, Contiki, and Busabout are, but hardly any Americans know those companies. For whatever reason Americans only know about The Yacht Week in Croatia, although there is so much more. I only had three or four Americans on my tours in three years! But anyway, I hope this post can broaden your horizons a bit, wherever you are from! Some companies tend to end up as bigger parties than others, and I will go through each one and their general stereotype/clientele! For another reference, check out some hilarious questions asked to tour guides on sail Croatia. Busabout is one of the Croatia sailing tour companies with the most boats on the water. As a company, they focus on their freestyle bus tours of Europe, but Croatia sailing tours are huge for them also. Busabout boats are everywhere! They do special packages for Ultra Europe Music festival in July, and have their tours running longer than any other company (well into October if I remember correctly!). Busabout tends to be on the cheaper end of tours too, but that heavily depends on the week/boat you choose. The clientele for Busabout is primarily Australian (as you will find with many of these companies) with a bit of variety thrown in here and there. Busabout has a majority of B class boats (shared facilities), quite a few A, and a couple A+ boats. Expect a B Class boat generally. Busabout was the company I was the closest to during my time leading Croatia sailing tours, and their tour guides are always amazing, fun, easygoing, and know how to party. All absolute legends. These are definitely party tours. Bell rings will be rampant, costume parties will happen (pirate night! ), and there will be the opportunity to go out every night because your tour guide is responsible to take you out. As far as I know, Busabout accepts bookings from any age (18+). So if you’re older and are up to having a week of being young again, go for it! I saw a few absolutely amazing older Busabout passengers who were outdoing most of the 20-somethings. But it will be mostly 18-39’s. Busabout have really well-planned out one-way routes, and for that reason I would recommend a one way tour with this company. They will spend their first night on a Dubrovnik-Split tour in Dubrovnik so it will actually be a part of the tour. Their Split-Split routes tend to be a bit more crowded with lots of boats. Busabout is also one of the only companies that run a north route sail up to Zadar and Zrce beach. When booking a Busabout tour, you basically choose if you want ensuite or communal (A or B class) and a cabin on or below deck and the boat is decided for you. They have some A+ boats but it is not listed which ones – I am guessing the more expensive ones! Just remember that sometimes boats have air conditioning in the hallways below deck leading it to be cooler – darker but definitely cooler. In these links, I believe the ‘calssic standard’ refers to a B-Class boat, the ‘Classic Ensuite’ refers to an A-Class boat, and the ‘Cruiser Ensuite’ refers to an A+ ?Class boat. That’s what the prices reflect, anyway. If you want my expert opinion, the best and most cost-effective Busabout sail week Croatia to do would be the Ensuite below deck Split to Dubrovnik tour, given the route, price, likelihood of aircon in the downstairs hallway, and having your own bathroom. If you want luxury, the A+ boats are a lot more expensive, and the below-deck cabins are only about $100 cheaper than on-deck. They will haev a lot more light but you’ll have people always walking by your room. It’s up to you! Note: If you want to be on the boats during Ultra, book a Croatia sailing week that ends on the weekend of Ultra and book the hostel package afterwards. Koda Sail is a more intimate and detail-oriented company geared toward the more mature partier and the young professional. Koda Sail only has one boat/tour going at a time and only runs premiere A+ style luxurious boats, but is still quite affordable for young people. Koda Sail stands for the fact that sometimes young people need a bit of luxury too, but can also have a bit of fun. Koda Sail was founded by an Aussie guy named Chris, who is a total legend! I can only assume that a lot of the clientele would be similarly Aussie/Kiwi. But Koda Sail is not like Topdeck/Contiki/Busabout in its word of mouth marketing and corporate base, so I can only assume that its clientele can get a lot more varied in nationalities and just follow a similar frame of mind. Koda Sail only had A+ style, ensuite, air conditioned boats. See A+ category boat descriptions above. Koda sail has experienced guides who are a bit older but still know how to have a good time. Chris, the owner, runs a lot of the tours himself I believe. Koda sail passengers are generally mid twenties to late-ish thirties, but if you are of the young professional category/mindset you will be just fine. During the summer, Koda Sail has three different routes, the S-S, S-D, and D-S. There’s only one tour per week so the route depends on the date. All routes include great places, and the one way D-S includes Dubrovnik as the first night on the tour. Travel Talk is a tour company with bus tours throughout Europe, and Croatia sailing tours are just a small part of their product. They have two boats that switch between Split to Dubrovnik and Dubrovnik to Split routes, and are one of the cheapest Croatia sailing tours – even with ensuite facilities. Travel Talks clientele is also largely Aussie, with a bit of variety thrown in here and there, and do love a good party. The guides on Travel Talk are usually super fun Aussies who are outgoing and helpful but know how to have a good time. I was friends with all the travel talk girls in my years and loved them! I don’t think there’s an age cap with Travel Talk but most people are in the young category. Both the Dubrovnik-Split and Split-Dubrovnik tours have great routes. Choose the one the is efficient with your travel route! Contiki is a global tour company that focuses on bus tours all over the world. They have a couple Croatia sailing tours on different types of boats. Contiki is rather well-known for being a party tour company; I think they are trying to rid themselves of that stereotype but Contiki passengers usually do love a party. And with a slogan like #NoRegrets it is also attracted. Contiki passengers are usually Aussie. However, as their brand grows, their clientele is also. Expect Kiwis, South Africans, Americans, Canadians, and every so often a few people of Asian descent – rarely European. Contiki have a few types of boats. They have some premium A+ boat tours and also a few A category ones which differ in price quite a lot. Two dinners are also included on these tours, which is great and differentiates them from most other tours. There are a few Contiki Croatia sail guides who stay in Croatia all summer, but a lot of the guides are normally European bus tour guides who come down and guide sails for a few weeks a summer. I always had a hard time connecting with Contiki guides – they seemed really awesome for their passengers but were very pro-contiki and not prone to socialize with other guides (which doesn’t really matter for a passenger anyway). There will generally be a lot of partying on Contiki Tours. Contiki tours are 18-35 ages. 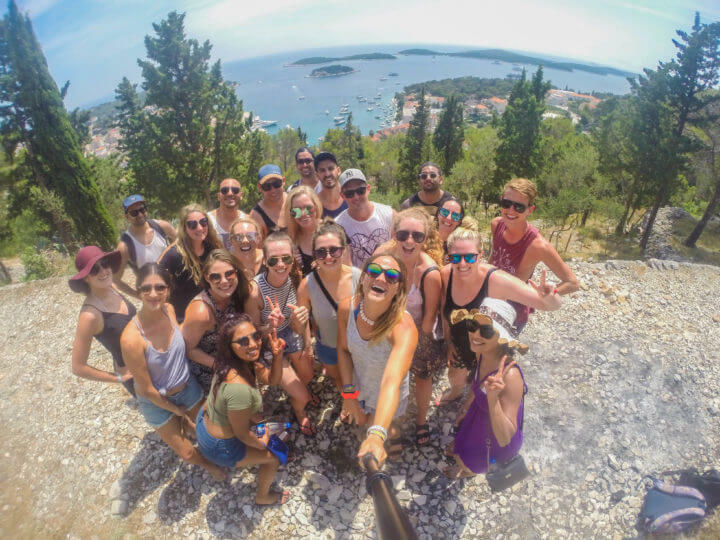 The Contiki round trip routes spend two nights each in Split and Dubrovnik, giving you more time to see the bigger cities but less time in the smaller ones. The one-way routes, in my opinion, are more desirable. In a lot of the booking sites it is unclear whether trips are A, B, or A+ class. Also note that on the itinerary for the last two normal 8-day tours, the stop at ‘Wild Bay’ will be a night on anchor where you stay and party on the boat but don’t go to a port. I think the first two are more expensive because they have an extra day in the beginning and end. Ah, Topdeck. I worked here for three summers. I’m going to keep my opinions of the company to myself and try not to be biased in my review, but I do know this company the best and because of that I will give a little idea of what each boat is like, because you can specifically choose your boat when you book (unlike most other companies). Topdeck is a global, corporate tour company that does tours in six continents. Croatia sailing tours are a pretty big part of their European product, with about 7 boats over the summer. Topdeck is another one of those companies that gets around well with Aussie word of mouth. Most passengers will be Aussie and Kiwi, with a few Canadians and maybe a South African or American once in a while. Tours are definitely becoming more diverse over time. See below for a description of each Topdeck boat. All boats are A category ensuite boats, with 3-4 A+ class boats (up from just 2 in 2017). I think they’re shooting to slowly take over the fleet with A+ boats only, and the prices reflect this for sure. With Topdeck, you basically book your boat rather than On-Deck or Below-Deck cabin like Busabout. If you ask me, it doesn’t really matter either way whether you are on or below deck, because below deck will usually have air conditioning, and on-deck will have people walking past your room all the time and be really bright but have an ocean view. Topdeck Croatia sail guides are some of my best friends and most legendary people I have ever met! (whoops, I said I would try not to be biased 😛 ) But honestly, pretty much all sail Croatia guides during my time were knowledgable, passionate, kind, and loved a good party. But, I heard that the team spirit among the guides pretty much diminished after my big group of 7+ guides all left, leaving only one to return. Basically, what I’m trying to say is that I have no idea how they will be in the upcoming summer, but they have been great in the past. There is a lot of partying on Topdeck sails, which of course depends a lot on the group. There’s also a lot of culture included as well, as guides are required to show you around or do an activity in each town but also take you out each night. Breaking news: Topdeck FINALLY changed their terrible one-way routes for summer 2019. *cue fog horn and loud celebrations* It took them long enough, but they finally amended their one-way routes to be actually good. Topdeck used to be the only company I would fully recommend to do a round-trip (S-S or D-D) tour rather than a one way, because the one way tours skipped out on one of the best spots on the Adriatic (Makarska + Ziplining) and had a couple ports that were very (too) small and quiet. This was to make room to visit the blue cave in Vis, which was cool but was only a 5 minute portion of your week and, in my opinion, not worth missing out on a few other destinations for (when you could also visit them as a day trip from Split after your sail is over). Now all of the routes are quite desirable and go to all the main places you would want to go, so maybe focus on which boat you would prefer or which route fits in best with your travel schedule. This is my favorite Topdeck route and has two of my favorite boats. It has a great mix of big and small nights and goes to the right places. Petrina: I am definitely biased here, but I have lived on this boat for about 3 full months of my life and it is my second home! Petrina is actually the oldest boat on the Adriatic (but has been redone of course :P) and is still going strong with the most awesome + fun crew who are like family to me. I won’t lie – it’s really not the nicest boat, and is more of an authentic sailing experience than a luxury one. But with a good attitude anything is possible! Petrina also has one pre-season Dubrovnik to Split sail and one Split to Dubrovnik. Dalvin: This tour runs Thursday-Thursday (unlike most which are Sat-Sat) for those with a different schedule. Dalvin is THE party boat. The crew (while doing their jobs of course) might even party harder than the passengers, and have club-grade speakers inside the dining room. So if you love a bit of cheeky fun and good laughs (and maybe some noise), book Dalvin for sure. If you like a few smaller nights (but still enough of big ones) and would rather see the blue cave, here are the one-way route boats. Toma: Toma is a beautiful A-class boat with a great crew and facilities. The owner just started out last year and has quickly gotten the hang of sailing and loves a good party with the guests. Toma has a week pre- and post-season doing the Split Split route too. Moja Maja: This is a lovely wooden A class boat captained by the only female captain on the Adriatic. The crew are lovely but can be a bit more strict and also keep in mind you will always be sailing next to two A+ boats which can get depressing – it’s a great boat but if you ask me just book the nicer ones for a tiny bit more money! Moja Maja also does two pre-season weeks of Split-Split sailing. Pape Prvi: This is a new boat I unfortunately don’t know much about, besides the fact that it’s a super nice and lush A+ class white boat that will be expensive, spacious, and luxurious. This is the most popular Topdeck route and you will have 2-3 Topdeck boats parallel sailing with you with the same itinerary. Vapor + Meridijan: These are Topdeck’s first two A+ style luxury boats. One captain (Vapor) is the father and the other captain is the son (Meridijan) and the boats sail parallel with each other and even have other family members as sailors/cooks. It’s a family affair! These boats are really nice with air con, great food, and open spaces. Just remember that with nice boats come a bit more strict crew/rules and a bit higher prices onboard. Both boats are great and truly luxurious… and honestly, they only cost a few hundred dollars more. Nerezine: Apart from Dalvin, Nerezine is the other real ‘party boat.’ Nerezine is an A-class boat which was recently renovated and holds the most passengers out of any other A class boat (36 max). The crew are easy-going and absolutely love a good party, and may be known to let you sample their rakija more often than should be. The cook (the owner’s mum) is also amazing. Leonardo: This will be Leonardo’s second summer in 2019, and it had rave reviews from its first season in 2018. It’s a big and fancy boat with lots of space. Sail Croatia is actually a massive company that runs sailing tours for many different clienteles, both old and young. But they are known in the young person sector as the main party tour in Croatia (and tours on other companies are often just called, ‘Sail Croatia’). Check their website for all they offer, but the majority of their product are tours for young people. They also do have some of the nicest and biggest boats for older crowds, however. 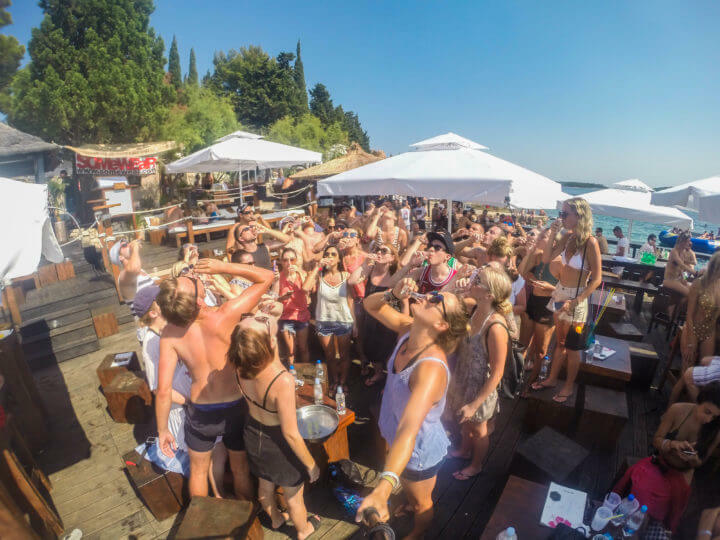 Sail Croatia clientele, on their ‘navigator’ tours, are mostly young Aussies looking for a good party. They are known for this. But other then ‘Navigator” tours, they also have ‘explorer,’ ‘elegance,’ ‘cycle,’ and ‘hike’ tours for all types of people. Sail Croatia has all classes of boats but the party cruises will usually be on B or A class boats, with the possibility to book an A+ too for young professionals (explorer tours) or older guests (elegance tours). Sail Croatia is one of the only companies that employ Croatian tour guides for their trips. I think they have a couple Aussie guides, but they’re mostly Croatian. I find that this is actually not favorable because the cultural barrier is usually quite large and having an english speaking tour guide to form the liaison between the Croatian crew and Aussie/English speaking passengers is better… especially one who goes out with the groups and understands the culture. The culture gap between Aussie/UK/USA and Croatia is larger than you may think, and when you have an English-speaking guide, they usually understand this gap and take the brunt of all the Croatian crew’s potential rude/bluntness and relay nothing but happiness to the passengers. This may and often does get lost in a Croatian guide. Take it from my personal experience! These will be lots of (often messy) partying stereotypically on Navigator tours, but oftentimes it’s just good fun. Party cruises are for under 35’s. Elegance and Hiking etc are for older crowds. Fanatics is another sailing Croatia company with one boat. Fanatics is a Europe-wide tour company dabbling a bit in the Croatia sailing scene. Guides will usually be Aussie, and clients will usually be a bigger mix of internationals. Fanatics boats are usually very nice either A or A+. Stoke Travel just recently started running Croatia sailing tours. Stoke is most well-known for being the party tour company of Europe (even more so than the rest – it’s part of their branding), and I am sure this will correlate to their Croatia tours too. Clientele are mostly Aussie, as are guides, and it is sure to be a loose and fun time with like-minded young people. One of their selling points is also selling unlimited beer and sangria for a small price. Their tours are very fairly priced as well. Life Before Work, or LBW, is a lifestyle-oriented company geared toward the international young professional. They run tours all over Asia, Central America, and Europe, and are well-liked by their passengers. They also offer to help you plan/book your flights as a part of the package. They have lots of optional activities, like scooter riding in Vis and banana boating, and are very adventure-driven too. 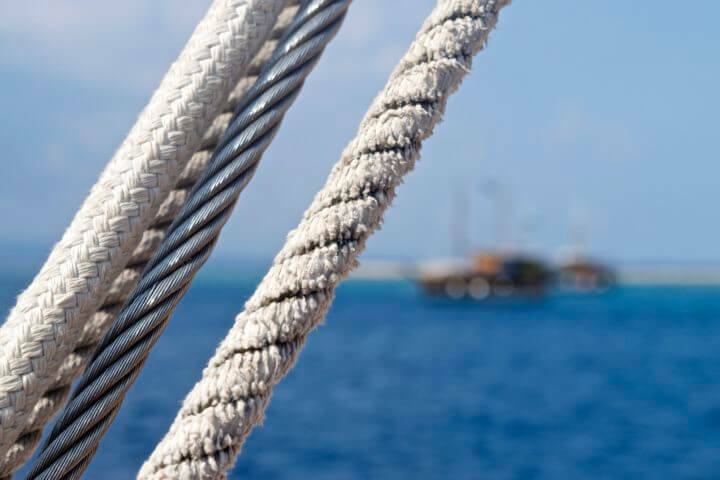 For an in-depth review of this sailing trip, read my friend Dana’s LBW Yacht Life Review to learn much more about what the experience is really like. Life Before Work passengers may be a more evenly distributed mix of Aussie/Kiwi/Brit/America/Canadian with maybe a few more nationalities as well. They are based in Canada. LBW only sails on A+ luxurious boats for what they call their ‘Yacht Life’ tour. The boat will be top-of-the-line, and you’ll truly live it up for a week of yacht life. LBW will have cool and fun-loving guides to accompany you on your adventures. They are all experienced and know the areas well! Like all of these tours, the option to party is always there, and people on this tour will definitely be partying. They have DJ’s on board and also a few themed parties through the week to add to the fun. Passengers will generally be young professional age. 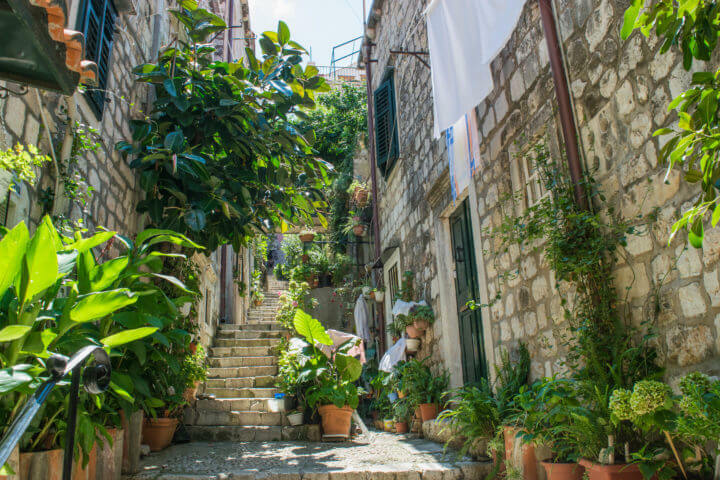 LBW has an interesting Split-Split route that doesn’t make it to Dubrovnik but rather spends more time on Vis Island and a few more secluded places. There are still great parties on Vis and the route seems like it would be good fun and adventure-driven. The price is also very reasonable! Split-Split A+ Cabin LBW Tours Will Be Added When 2019 Dates Become Available! On-the-Go tours are usually a multi-age and more relaxed Croatia sail week, but they have one budget tour on a B-Class boat designed for 18-29 year-old passengers. There will be shared facilities and all the main amenities of a B-Class boat – breakfast, lunch, crew, etc. There is an increasing number of floatilla-style tours in Croatia each summer, that sail with lots of smaller boats together. They are very different yet just as fun as doing sail Croatia on bigger boats! Floatillas do not travel as far (they either stay around Split or Dubrovnik), and may have day and night stops. See the beginning of this article for more logistical information on how floatillas work, but here are a few main floatilla companies you can consider. The Yacht Week is the Croatia sailing company that most Americans know about. The Yacht Week is glamorous and is known for its music, dj’s, and ‘exclusive parties.’ The Yacht week definitely has a different vibe than a lot of tours, but a lot of the destinations and parties are still the same. They also have lots of tours centered around Ultra Europe music festival and Ultra week in Croatia. The Yacht Week get most American, Scandinavian/European, and South American clientele. The 8-10 person boats will be full of groups of friends from different places. The Yacht Week is a massive party, but tends to be a more expensive one. Yacht week passengers always seem to buy tables at the fancy clubs and spend more money on what seems like a businessperson’s week off to have fun. Like I said, floatilla-style small boat tours don’t make it all the way from Split top Dubrovnik but will rather spend more time in some more secluded destinations around each. The MedSailors Croatia Sailing Tours I have linked below cruise around Split, Hvar, Vis, and Northern Korcula. Med Sailors also has a varied clientele of more English/Irish/Americans than many companies. The option to party is also always available, and people are usually young (18-35) but more mature. Phew! Now that we have gotten through the Croatia sailing tours for young people, it may seem it is not possible to visit this country without a party, but that is far from true! There are loads of Croatia sailing tours that cater to different audiences- older people, families, bicyclers, even tennis players and vegans! I’m telling you – there’s something for everyone. Remember to read above for descriptions of boats and facilities! G Adventures is an extremely reputable tour company that runs tours all over the whole world. It’s no surprise that their Croatia product will be amazing as well. Their tours are for smaller groups (max 8 on smalelr yachts) and run from April all the way until October. G Adventures tours are for 12-70 year olds. Younger people may book out the boats for a private tour, but they’re also great for families or friends of any age. Intrepid is yet another world renowned travel company (operating in all 7 continents, I believe!) who also run both small group tours and larger boat tours in Croatia. The small-boat groups will be about 8-10 people as a single tour, and will stop at all sorts of islands on the way across the Adriatic. The larger boat tours will be similar in nature to all others I have described with groups of 30+ and family oriented. They also have a few accommodated or coach tours to visit the same area. Intrepid has started doing young-person Croatia sailing tours this year as well, offering boats and routes for 18-29 year olds. But, because I believe that that other companies I have mentioned are far more established in the young Croatia party cruise scene, I will be leaving it at that for now! Intrepid has come out with some incredible sailing tours for 2019. 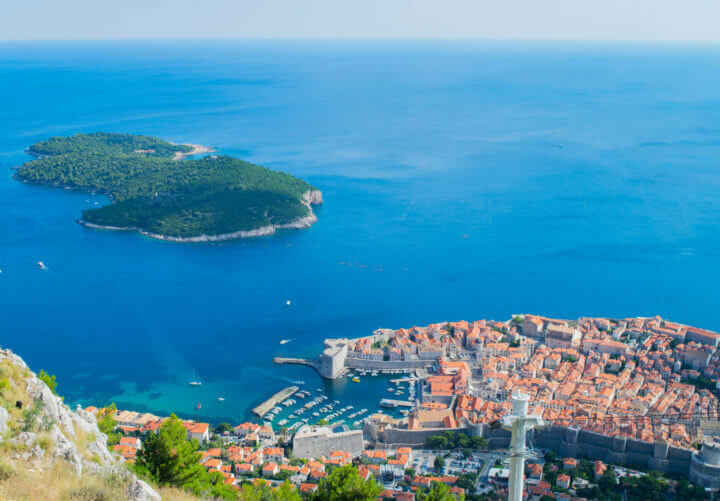 They have all the classic routes between Split and Dubrovnik (on both large and small boats) but have now come out with some longer routes that go up to the north in Croatia and even to Venice! They have a new two week cruise of the entire Croatian coast and two that start in Venice, which look awesome… linked below. Intrepid is listed as 15 to 99 year olds, so would be perfect for families or groups of friends of any age who like to be a bit more low-key (for all boats) or have a tour to themselves (for the small boats). Compare G Adventures and Intrepid Travel Here! Many of their tours are similar, so check out this review comparing the companies. Kompas is one of the Adriatic’s premiere luxury travel companies. Perfect for families or people of any age, Kompas tours have a minumum of 8 years of age and a maximum of 80. These tours will be on the nicest A+ category ships and your every need will be catered to! Kompas has some of the most unique routes of any sailing company, and has tours going as far north as Zadar and Porec, Istria (the very north of Croatia). Bigger boats can go faster, I suppose! Many tours will have daytime and night time stops to cover more ground in the same amount of time – 8 days. Many boats will have small pools/jacuzzis onboard and premium space to relax on lounge chairs or eat meals in style. These are the ridiculously nice boats that other people just gape at. You can see all information about the boat before you book a tour! On-The-Go Tours, besides the young person budget tour I mentioned above, is a very chilled-out tour for all ages. There’s no discernable age limit on these tours, with about half of passengers aged 50+ and teenagers as young as 16 with their parents. A few of the tours ask that the age starts at 28, however – just make sure to check before you book. On-the-Go Tours are perfect for the older crowd who doesn’t want to pay as much, younger travelers who are not looking to party, or families who want to have a lovely holiday together. They have three different classes of boats, which they call ‘traditional,’ ‘premium,’ and ‘premium plus.’ They are not the same as B, A, and A+, however, in that they all have ensuite bathrooms and the only different with the premium plus is that there’s more space. The cheaper tours will simply be cruises to different ports, and without a tour guide. But all the tours on premium boats will have guides. Yacht Getaways is a smaller sail Croatia company with 8-capacity catamarans that offer 7 (not 8!) day cruises from Split to Dubrovnik for families. The age range is 18-65, and the routes are great for the older of more mellow passenger. UTracks is an outdoor adventure tour company, running hiking, biking, and nature tours all over Europe. In Croatia, they run cycling tours for families and people of all ages. These tours will drop passengers off in one location to cycle with a guide to the next location, all through the Adriatic. No age limit/minimum at all! Back-Roads is a tour company for the older traveler (the opposite age spectrum of the 18-39 party cruises) – the 40-90 year olds. Middle and older aged passengers can enjoy visiting much lesser known ports and National Parks between Split and Zadar on this smaller group cruise. If you’re looking for something a bit bigger and more like an actual cruise, CroisiEurope River Cruises has brought their 103m long, 48-crew river vessel to the Adriatic to sail you and 197 other people around Croatia and Montenegro. There is no age limit whatsoever for this cruise and could be a cool option for those who like bigger boats and larger groups. Custom Walks does Croatia sailing tours for hikers! 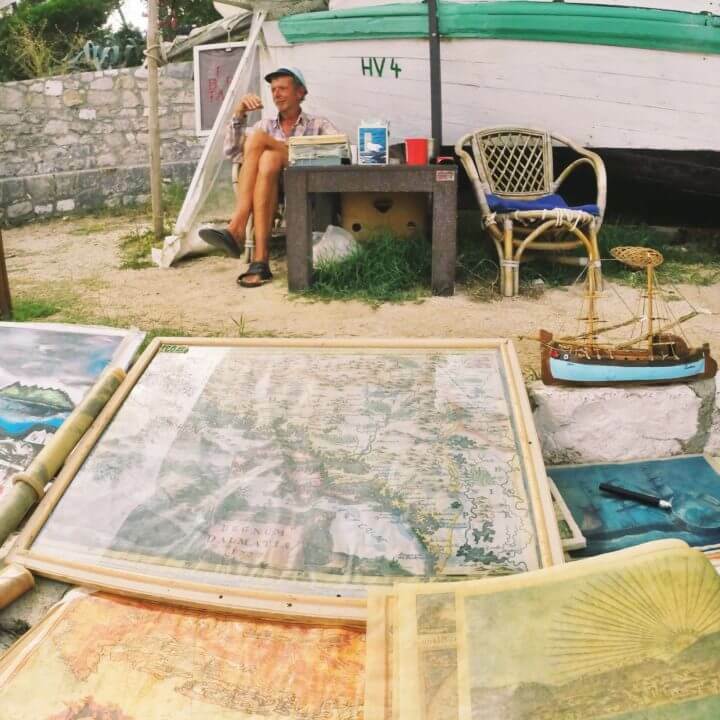 Capped at 11 people on a two-masted motor yacht, a Custom Walks tour will take you around the islands on various trails and hikes around Split, Vis, Hvar, Brac and Trogir. Make sure to book soon, though – they only have two weeks total in the summer, one in June and one in September. You thought wrong! 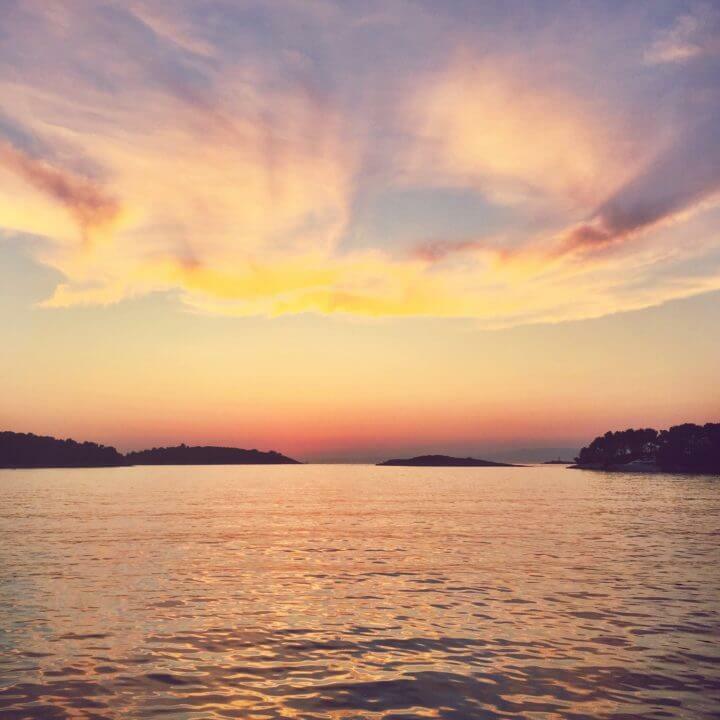 This raw vegan cruise takes place during the first week of August in Croatia on a very nice boat, and has yoga classes and lectures on veganism. What will be next?! PHEW! That was a lot of Croatia Sailing Tours. Overwhelmed? I would be too. Feel free to send me an email if you need help sifting through all this information to find out which sail Croatia tour is right for you. Nonetheless – all the information is here! Just use deductive reasoning: figure out if you want a young person tour or not, a floatilla or not, a smaller 8-person boat or a larger 30+ person boat with a chef/aircon, if you want something super luxurious or something cheaper, and finally if you want a specialty cruise (hiking, biking, tennis) or something… normal. This should narrow things down, but I’m always here if you need more help! Enjoy your week sailing in Croatia! 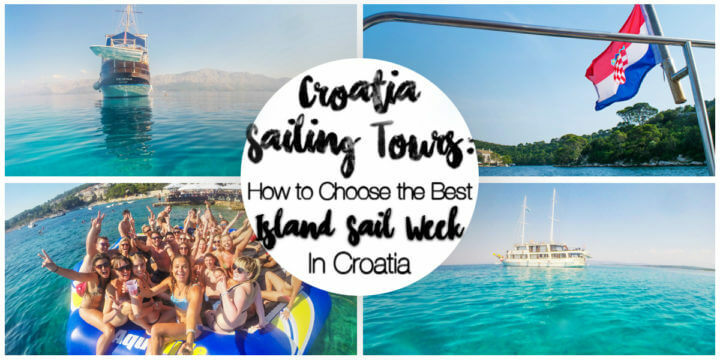 Did you enjoy my comprehensive guide to Croatia sailing tours?! Planning to do a Sail Croatia? Please pin me! Hiiii! This was genuinely one of the best articles I’ve read and exactly what I was looking for. Out of curiosity, how did you end up working for Sail Croatia and bus about? Hi Brooklyn!! That makes me SO happy to read and so glad you got some great info from it! 🙂 Which one are you thinking to book? I actually worked for Topdeck, and I got the job by simply applying for it when I lived in London. Their head Europe office is in London so I interviewed there. My advice would be to check up on the job postings often if you would like to do it! What a great article! What about sailweekcroatia.com? Do you have any experience with that company? Hey Amanda! Thank you! 🙂 I have definitely seen that company around in Croatia and they seem to be great also! I would say they’re similar and a bit smaller than MedSailors, with a few smaller floatilla-style boats/tours! Thanks so much Aimee! 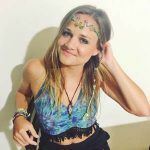 I was super close with the Busabout guides – definitely a great mix of party and culture and the best of both worlds for sure. Glad you enjoyed! So glad it could help! 🙂 Let me know if you need anything else to plan!